Debits and credits – trip to the tack shop = credit the bank account, debit the horses wardrobe. Double entry – number of horses or saddles goes up, bank balance goes down. Stock – feed, hay, bedding. Stock control – managing to have enough bedding and feed in the yard without bankrupting yourself and without running out of available space. Expenditure – every other day. Money – what the horse eats. Fixed Asset – horse, jeep, horse box, lorry, saddle, machinery, walker, house, land. Long Term Liability – the loan you took out for the horse / horsebox / saddles / land / stables. Current Liabilities – Credit card balance caused by too much time in the tack shop or online auction sites. Profit – what happens when you buy something and sell it for more than that. E.g. I bought the top hat for 30 euro and sold it for 50 euro and made 20 euro profit. Profit is also known as the money you will now use to buy something else and the jusification for doing so. Negative Equity – when you took out a loan to buy a horse which is now worth less than the outstanding loan balance. 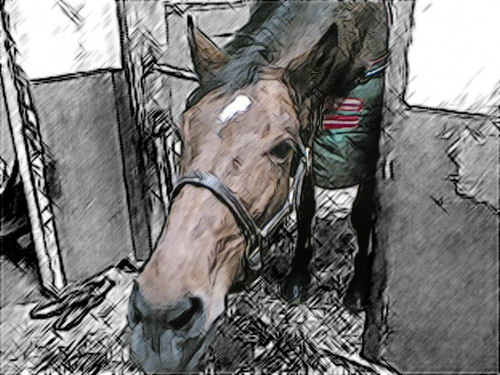 Actual Value – what the horse is actually worth. False Economy – Buying the more expensive boots and convincing yourself they will last longer than the cheaper ones. Buying two pairs of jods because they were reduced in the sale. Bank Reconciliation– comparing how much you think you have in your bank account on a Monday morning against the receipts in your wallet (that you have hidden from yourself in denial) and invoices in your email account (from those ‘necessary’ online purchases) to get a true gauge on how much damage you did this weekend. Lead Time – How long it takes the seller to send you what you just bought online. Posted on May 22, 2013, in General and tagged accountancy, asset, equestrian, equestrian humour, finance, horses, ireland, liability, saddles. Bookmark the permalink. 2 Comments.